Hurrah! 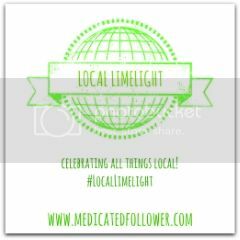 Today I am writing my first post for my new linky, Local Limelight! I do hope others will link up posts about their local area below! Well, today my "limelight" is focused at Portishead Open Air Pool/Lido. I've always called them Lido's but this one seems to go by "Open Air Pool" but I'm sure they are happy with either! Portishead is a town just a few minutes drive away from us. Another North Somerset coastal town. The pool itself opened in 1962 so is now just over 50 years old. For years the pool was well loved, but when local leisure centers became more popular, visitors to the outdoor pool reduced and bit by bit, the pool became very unloved and neglected. Thankfully in 2008, after being threatened with closure, things started to turn around. A trust was formed and volunteers rallied around to try to save it. The biggest helping hand was from Ty Pennington and his Extream Makeover program - he was in the UK recording a special UK edition and ended up saving Portishead Outdoor Pool along with a team of volunteers! Today, the pool is in great condition. As someone who has lived in the area for my whole life, the pool is a local treasure. It forms many fond memories of my childhood and I love that I can take my own children their to build upon my memories and create their own. What will you find there? There is one main pool and a toddler/splash area. There is an excellent changing room that is clean, has everything you need and is reminiscent of the past! 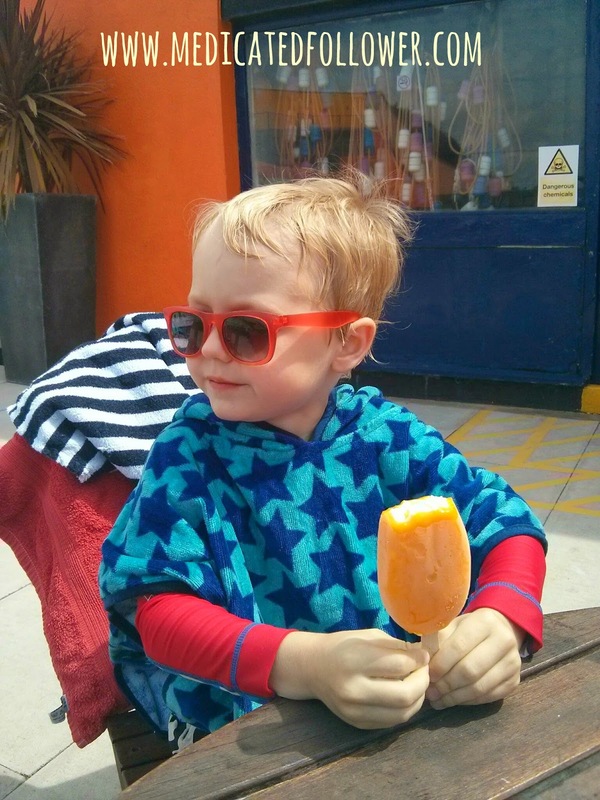 You can buy snacks, drinks and ice lollys from the "Tuck Shop" or if you need something more filling, you can visit The Lido restaurant after your visit. Last Monday the boys and I took Granddad for a visit. He hadn't been since I was a child so he was looking forward to it. We were very lucky, most schools hadn't yet broken up and the weather was fantastic. We were set for a great afternoon! We found ourselves a table and some chairs and set up camp. 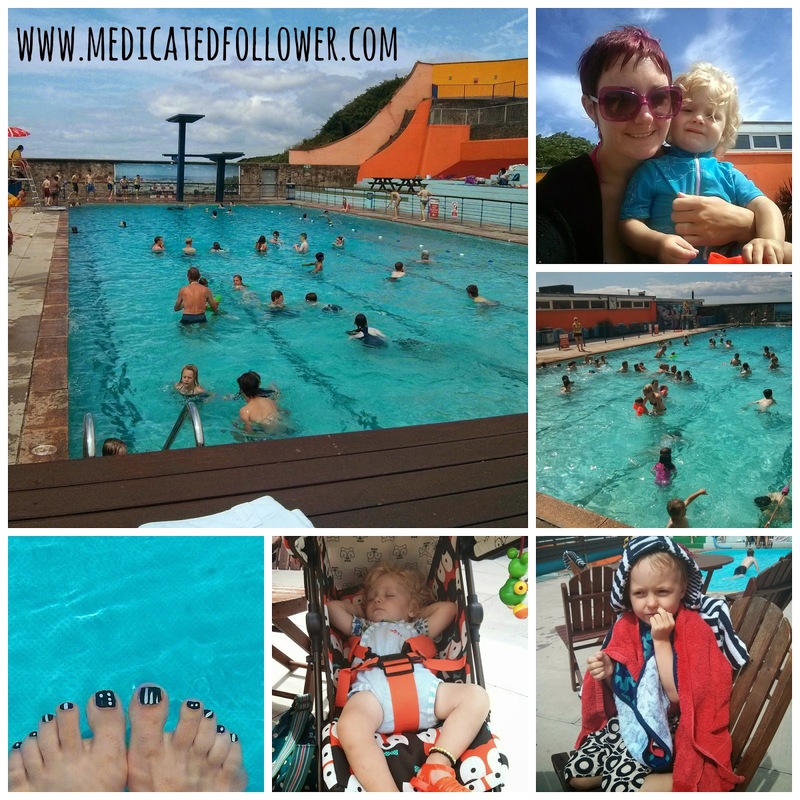 We then spent a lovely 3 hours popping in and out of the pools, eating lollys and soaking up some sunshine. It's not easy containing a crazy on the go child like Felix in a place like this, water and concrete aren't a great mix with a 14 month old, so Granddad and I had our work cut out for us, but nevertheless, it was a lovely afternoon. Ethan had a fantastic time in both pools, he loved getting in, getting out, warming up and getting in again. He even managed to charm the folks at the tuck shop into giving him a free Freddo bar. Cheeky monkey! After about 3 hours we decided it was time to go and get some food so we packed ourselves up and headed to The Lido Restaurant. I ordered a lamb burger and chips, my Dad ordered a chicken salad. Our food took about 20 minutes to arrive so we knew it was freshly cooked, but goodness, it was lovely. You have a lovely view over the Bristol Channel from the restaurant. The only downside was keeping Felix entertained whilst we tried to eat! You can also purchase season tickets. We really love this pool. It has a fantastic view, lots of space, is a nice comfortable temperature to swim in, friendly staff and a real community spirit! Can't recommend it enough. If you are a local reader looking for something to fill the holidays, give it a go. If you are a visitor, put it on your "to do" list! Now it's over to you! Where have you been recently? Is there a local spot you want to write about? A shop you love local to you? A National Trust property you visit all the time? Write a post and link up below! If you join in I will share your link at least once on Twitter, probably more. Please don't forget to comment on my post and visit others who join in. Please display my badge (see sidebar) and link back to me as well! Oh I wish we had something like this local to us! It looks like a fab place to visit!